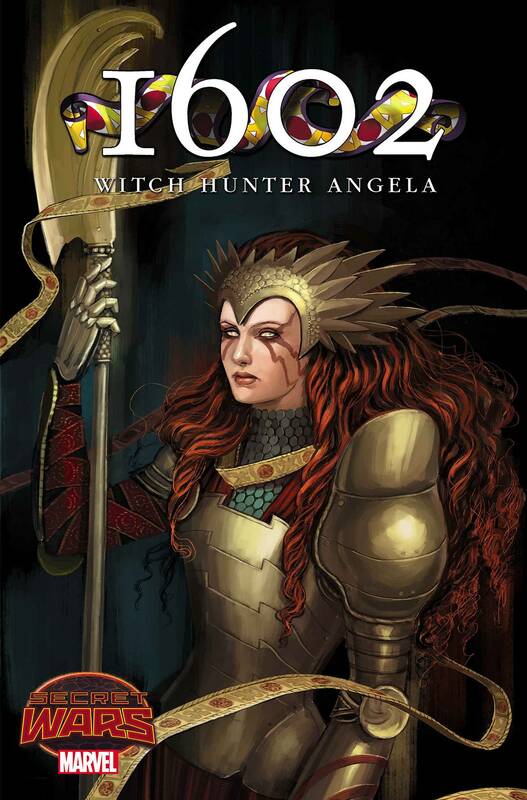 In the altered realms of BATTLEWORLD, Angela and Sera are WITCH HUNTERS, the scourges of King James' England, 1602. In a land beset by magic and monstrosity, they seek a new and seductive evil-not witchbreed, but deal-making FAUSTIANS, who bargain with ancient creatures for unnatural power! Moral ambiguity? Fancy allusions? Marguerite making the most of that English degree? 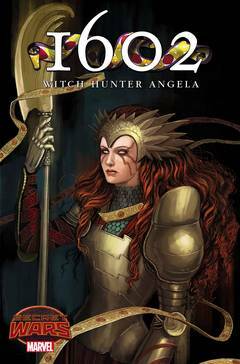 tl;dr â€" try 1602 WITCH HUNTER ANGELA #1! .